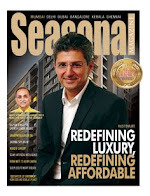 Seasonal Magazine: What is Hot Now – Stocks, Gold, SIP, or Smart Money? What is Hot Now – Stocks, Gold, SIP, or Smart Money? We can mistake a fly for a mosquito, but can we mistake a fly for an elephant? Financial wizards around the world would like us to believe that – that a fly can also be an elephant, that too at the same time. Nobody knows how to size up problems. Be it Europe, Goldman, Gold Boom, or China. But analyses have no end. The day Sensex is down, it is due to Euro concerns, and the next day when Sensex is up, it is due to Euro concerns easing, and the next day when again Sensex is down, it is again due to…you got it. Many among us were once bewildered from where Sensex or Nifty got its daily opening cue. There are those pundits on business channels and brokerages who always got this opening correct, though you would lose money on almost all of their daily bets. We were genuinely impressed. Later, we came to know that Sensex and Nifty opens up or down solely on how Dow Jones and NASDAQ had closed, that is, around 6 AM Indian Standard Time. But what if they had an ambiguous close? One could always rely on how the Asian Markets opened around 8 AM IST - the Japanese Nikkei and the Chinese Hang Seng or Shanghai Composite. And how does the Sensex or Nifty decide how to close? Half way through the session, they can look forward to how Europe opens, that is, around 12 to 1 PM IST. But the funny thing is from where Europe gets it opening cue. It looks at how Nikkei, Hang Seng, Sensex, & Nifty opened up! Things get funnier around 6 PM IST, when NYSE & NASDAQ opens again, taking cue from – you guessed it right – how Nikkei, Hang Seng, Sensex, & Nifty closed, and how London FTSE, and European CAC & DAX are faring! It is indeed one big merry-go-round. With this background in mind it was really funny to see how two respected institutional analysts predicted the immediate future for world and Indian markets. One saw the Sensex resuming its northwards journey and reaching 22,000 soon, while the other saw the key index dropping rapidly to reach 14,000 and fall further. Since there is only one market and only one Sensex both of them can’t be right. Or wrong, for that matter. But more interesting were the reasons behind their outlook. The bull saw only Western equities as falling, money flooding to treasuries and gold for safety temporarily, and money – hungry to grow - flowing again to China and India in a big way. The bear saw all equities as falling, money avoiding the big treasuries as they are already hit by sovereign debt, gold rising, and exports of China and India getting hit in a big way, and the world GDP and indices falling. Both outlooks at least agreed on one thing. The so-called Smart Money is finding it increasingly difficult to get itself parked. Smart money doesn’t include your money or my money. The money we spend, save, and invest should really be called by the antonym, stupid money. Smart money is the big-time institutional money that wants to grow by 1%, 5%, or 10% - not yearly or monthly – but weekly, or daily if possible. You will often hear analysts trying to find where smart money is headed. Markets and retail investors will be headed one way, and smart money would often be headed the other way round using complex instruments like derivatives, futures, and hedges, ultimately upsetting all the stupid money’s calculations. Better put, grabbing the stupid money, and increasing the size and smartness of smart money even further. It was interesting to know how the US Government stumbled upon Goldman’s smartness. Prompted by some cue, US SEC had inspected the company’s day trading records. For over 100 consecutive trading days, the firm hadn’t made a single loss. Now, that is pretty interesting, as anyone who has done even a bit of day trading would attest. Smart money players are now crying hoarse that Obama is all out to kill smart money. They may have a case, as he is personally the poorest American President in over five and a half decades, and as such, may be oblivious to the pains of the superrich. Though not as poor as Obama, Angela Merkel is also unconcerned about smart money hurting. Unable to drill any sense into the thick heads of her European counterparts, she forced German bourses to abruptly ban naked short sales in key financial stocks and government bonds. When smarties protested, she threatened to follow it up with a fiercer exchange-wide ban. But back home, NSE found the time opportune to introduce short sales for the first time in India. Until now, the country had only intraday shorting. The NSE idea is to introduce shorting as it is done in the developed markets, that is, across days, weeks, or even months. Though not the naked version, there is no reason why extended shorting should be introduced at this stage. From the investors’ standpoint there isn’t absolutely any reason to have this, as traders with deep pockets are sure to exploit this by crashing markets. But from NSE’s standpoint it is great, as the trading volumes and their commissions would swell. However, the fact that an institution like NSE – promoted by some of the largest Indian financial institutions like LIC - is attempting this, right under the nose of SEBI and Finance Minister, is cause for concern. The question is whether the NSE too is expecting a rout in the coming weeks, and wants to protect its interests by introducing shorting? Eerily, it was learnt sometime back that Goldman Sachs too had taken a stake in NSE. Make no mistake, exchanges and brokerages are perfect smart money players, even though they are great facilitators too. Smart money, however, has met its match when it tried to be smart with Indian entrepreneurs. Indian realty and power sectors have shown that they can be smarter than international smart money. For example, you cannot make head or tails of companies like Unitech & Suzlon and their results. Unitech, India’s second largest listed realty player has been successful in attracting high-profile international smart money for long, and investors of all sizes have been waiting with bated breath for this once-record-setting wealth-creator to surge again. But Unitech is keeping the cards close to its heart, with yearly net dipping by 44% and quarterly net surging by 44 times. So that the hope goes on, and even smart money should wait endlessly here. The pre-result P/E is 44.45 years, and that also means a yearly yield of 2.25%, less than half of an SB account. And Suzlon has only P, and no E for almost the last two years. Retail investors would do well to keep in mind that nothing much changes for a business between one quarterly result to the next. Of course, there can be new order wins for the company intra-quarter, but even then there is no need for this daily frenzy. As Buffet once famously remarked, after making an investment he would like the stock-markets to close for five years, and then open again to reflect the fundamental growth. The only thing that changes every day, every minute, and even every second, is the money flow. Smart money flowing in and out, trying to take away your stupid money too, thereby getting smarter. But don’t even take Warren Buffet as a role model. He has recently bet his reputation by backing Goldman, solely because his $5 billion is there. That Buffet is appreciating such practices indicates the spread and reach of smartness. Our own Buffet, Rakesh Jhunjhunwala has a golden rule when asked about how to pick stocks. Never pick stocks with a significant institutional holding, especially of the FII kind, he says. In other words, smart money. But considering the past six month’s performance of some Indian scrips, it is better to extend his theory a bit – don’t invest in anything with Jhunjhunwala in it. Persons grow into institutions, over time. Then you are sure to hear about how wonderful it would be to SIP in these uncertain times. Believe it or not, there is scientific proof that Systematic Investment Plans works only to the investors’ advantage when the markets are sliding and nearing their bottoms. It is a great alternative to determining whether the bottom has reached, but a strict no-no in these uncertain times. virtually made it up with his NAANSS or National Association Against Naked Short Selling that was housed in the same office in Blaine,Washington where he operated his Genemax biotech fraud from that was his poster child for being a victim of ‘naked short selling’ rather than the illegal penny stock pump and dump that it was.And now we hear it in German as ‘ungedeckten Leerverkäufe’ which translates more directly as ‘uncovered shorts’ as opposed to ‘gedeckte Leerverkäufe’ or ‘covered shorts’!LATER IN 2005 WHILE DAVIDSON DISAPPEARED HIS NAANSS website, called simply naked shortselling.com,Patrick Byrne,the spoiled Geico billionaire’s son,was busy starting a claim that his Overstock.con pump and dump was a victim of ‘naked short selling’ as well a a mortgage scandal called Novastar Financial represented by attorney Lanny Davis…..And many penny stocks were insinuated to be victims of ‘naked short selling’ as well.The criminal hipocrite Patrick Byrne who gave $75,000 to ex Utah Republican Governor Jon Huntsman to get him to cry about unproven ‘naked short selling’ has his own offshore hedge fund and was probably shorting them himself ! And ex Utah RePUBLICAN Gov Huntsman Jr is now Barack Obama’s Ambassador to China where his father and brother have chemical company interests ! In 2006 this term created or popularized staring around 2002 by apparently U.S.and SEC PROTECTED MONEY LAUNDERERS with Beltway connections, particularly James Dale Davidson who brags about being Bill Clinton money launderer on his newsmax.com site,appeared in the english Al Jazeera in a scammy video made by a Max Keiser who a low life connected to zerohedge website nowadays.I enquired at the time how to say ‘naked short selling’ or ‘naked shorting’ in Arabic but received no answer…..In 2007 it appeared to my knowledge for first time in British english in regards to Northern Rock that Rupert Murdoch’s and James Davidson connected Lord William Rees-Mogg’s Times of London disseminated as misinformation to distrat from Goldman Sach’s and Paulson’s et.al.’s pre-medited manipulations of mortgage industry worldwide.In early 2008 the term was promoted by Australian stock market website and Terry McCrann a Rupert Murdoch hack who writes for his Australian rags. Not long ago AIPAC connected Senator from Michigan Carl Levin and former Pennsylvania Senator Arlen ‘Magic Bullet’ Specter began saying unnamed stocks has been ‘naked shorted’.I enquired as to how they say ‘naked shorting’ in Hebrew and how long it had been a problem on the TASE market in Israel. Note the German term which I believe is newly made up and not a long term stock jargon of Germans is ‘ungedeckten Leerverkäufe’ which translates more directly as ‘uncovered shorts’ as opposed to ‘gedeckte Leerverkäufe’ or ‘covered shorts’! Washington, D.C., July 15, 2008 – The Securities and Exchange Commission today issued an emergency order to enhance investor protections against “naked” short selling in the securities of Fannie Mae, Freddie Mac, and primary dealers at commercial and investment banks.